Slots in Multilotto’s casino offer you the opportunity to play and have fun right from your home. You don’t need to download anything, you can play straight from your web browser . If you are curious to know more of how the game works, you can try the games for free by using play money. We can pretty much guarantee that once you’ve felt the excitement of all our great slots – you’ll want to play with (and win!) real money. When you feel ready to play for, and win real money there are some things you should know. In all the slots, you can choose the coin value. You always play in Euro and the value usually start at € 0.01 and go up to € 0.25. Then you can also decide how many coins you want to bet on a spin. Last but not least you decide how many lines you want to play. The more lines you play, the better chance you have of getting a combination and win. 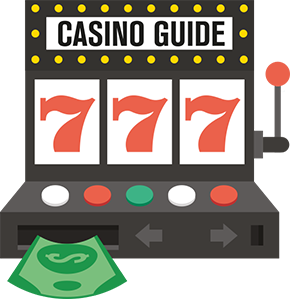 Once you're up and running you want to keep an eye out for bonus rounds and free spins. In the bonus game you have the chance to multiply your bet and win a lot of money. You'll also have the chance to get free spins and it can mean a lot of money. You'll find all the combinations in the pay table for the game. In some games, you also have the chance to double or even quadruple your winnings. You can either choose to select the colour you think it is behind the hidden card (black or red). If you are a real gambler you can choose which suit is behind the card (hearts, diamonds, spades, clubs). Keep in mind that if you choose wrong, you lose the profit you won from the spin. Blackjack, also known as "21" is the world's most popular casino game in which you play against the bank. Playing blackjack online works just like in a physical casino. Your blackjack strategy and your choices are the same. As a blackjack player the goal is to beat the dealer with a set of cards that together add up to more than what the dealer has, or less than 21 when the dealer has more than you. If your hand adds up to more than 21, you "bust" and lose. In order to know the value of your online blackjack hand, you must obviously know the value of each card in the deck. An Ace has a value of one or eleven and all face cards are worth ten regardless of suit. When is an ace worth one or eleven? When the total of your hand is less than 21 your Ace is worth eleven. If the total of your hand is over 21, your Ace is worth one. If you have heard the phrase "soft hand" , it may be helpful to know that this means that the ace you have on hand has a value of eleven. A "hard hand" is when you do not have any Ace or your Ace is worth one. When the cards are dealt, each player receives two cards, while the dealer has a visible and a hidden card. As a player, you decide then to get another card or no card, dependent on the value of your hand. In Blackjack the chance to "Split " or "Double". The first means you can split the cards of the same number, or if both are dressed. Then you suddenly have two hands instead of one and you can win more money. Double means you double your bet, but remember that you only get one more card. Sounds complicated? Try it out for free with play money first. We’re pretty sure that you, as players all around the world, will fall for this classic immediately. If you have a total of 11 or less, you can always take another card because you do not risk busting. At 11, it is sometimes wise to double your bet - as you can easily get 21 with the help of a face card (10) or a ten. Do you think the bank's visible card looks harmless? Then it might be good to split your cards if you have the chance. Then you can win more money if the bank busts or has a lower hand than yours. Roulette started as early as the 1800s and is well known worldwide. Roulette was born in France and it’s a mix between the two games, "Hoca" and "Portique" and got its name from the French word for "small wheel " because, obviously, the game essentially revolves around a wheel with numbers. There are many different variations of Roulette and rules differ slightly from these, we offer a number of different versions, and if you try them out them with play money first, you will surely find the one that suits you best and be ready to win big once you start playing with real money. The wheel that is used in the European Roulette is divided into 37 fields, numbered from 1 to 36 and a zero. Not in any specific order, but the numbers are randomly placed around the wheel and mixed between odd, even, high and low numbers. Every other field is red and every other is black while zero is always green. These simple rules suffice as a basis for you to be able to learn some simple roulette strategies. Roulette rules allow for some different game strategies that the player can choose from. Depending on your feeling and experience you can of course vary the different strategies how you want. Your first decision before you place the chips on the board will be if you choose to play on low or high numbers. Low numbers are 1 to 18, while 19 to 36 represent the high numbers. If you want to bet on a single number, it is called "straight-up". A "split" is when you put your bet on the line between two numbers next to each other, "three-way " gets it when you place the bet at the end of the line, thereby covering all three numbers in that row. The more numbers you divide the bet on, or play on, the less profit when you win. For example, a winning bet on a single number, "straight-up " gives you 35 times your money, while you get three times the money, for example if you win a bet on an entire column of 12 numbers. You can also bet on odd/even numbers, high/low or red/black. There are a lot to bet on so a little tip is to play for free to find your own strategy. If you're looking for smaller but more frequent gains, stick to outside bets (outside of the main game table). If you're looking for the bigger and more rare wins, you stick to inside bets (centre of the game table). Video Poker is based on the classic card game of poker. But here you play only against the computer and the goal is to get the best five-card hand possible. How does it work? Well, it starts with you getting five cards. You as a player choose which cards to keep and the rest are replaced with new cards. Depending on the poker hand you’ve got, you get paid according to a predetermined payout table. The games can look slightly different and have different rules. One common game is "Jacks or better" in which a pair of jacks is the minimum hand that pays out . It’s played without the joker. Some other games are played with a joker and then the odds, and payout structure, looks different. In other games, there are other wild cards (cards that can represent any card, as well as wildcard). Some games also offer a "double or nothing " feature where you can bet what you’ve won on your last hand and double your win or lose it.